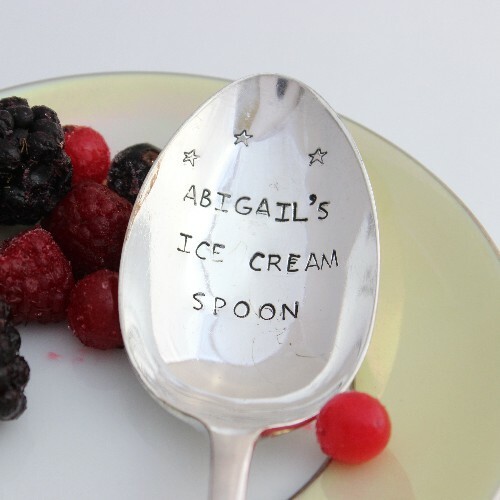 A great fun & unique silver plated personalised pudding spoon, a brilliant gift for so many people! Mums, Dads, sisters, wives, friends or any body you know who would like a bowl full of something lovely from a spoon that is just theirs! 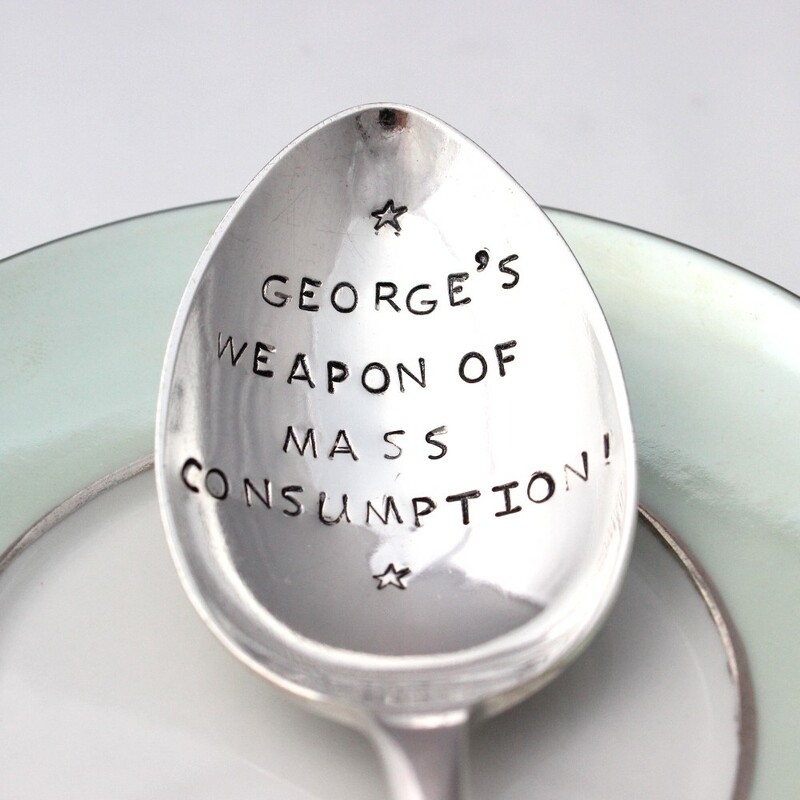 A great fun & unique silver plated personalised pudding spoon, a brilliant gift for so many people! 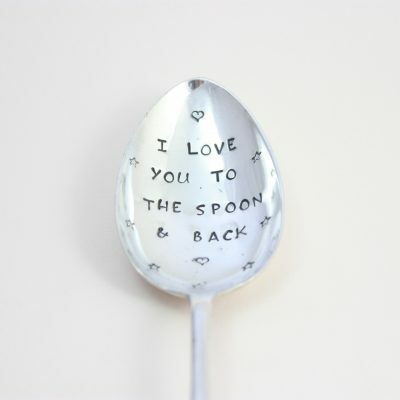 Mums, Dads, sisters, wives, friends or any body you know who would appreciate a personalised spoon with a quirky saying or their name on it! 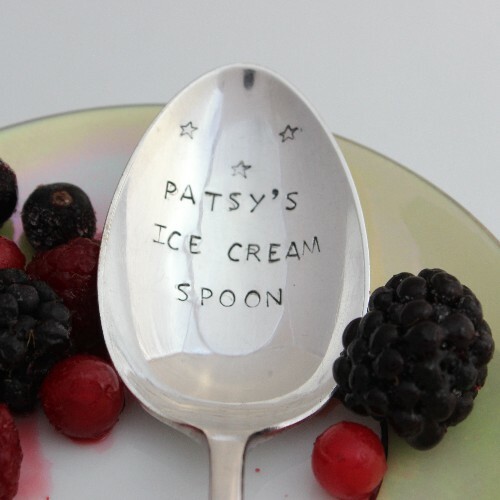 The silver plated vintage personalised spoons are dessert size spoons & are personalised with the message or name of your choice. 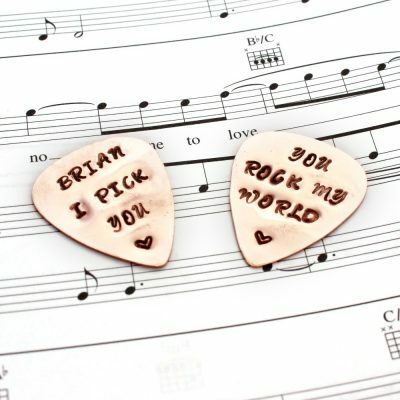 A short quote, a special date, a funny message or perhaps just their name. Anything goes as long as it fits! 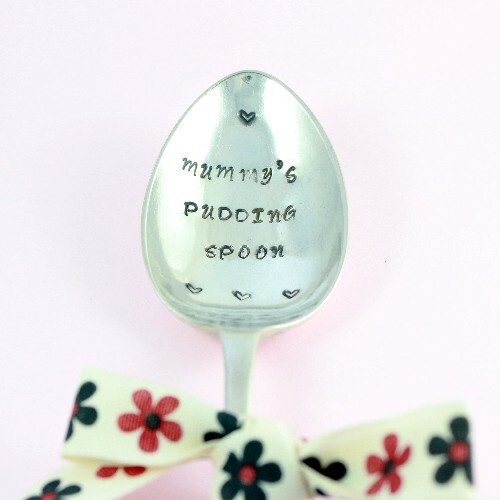 All the personalised pudding spoons are hand stamped, letter by letter and not machine engraved, small marks are a normal occurrence in this traditional lettering method. 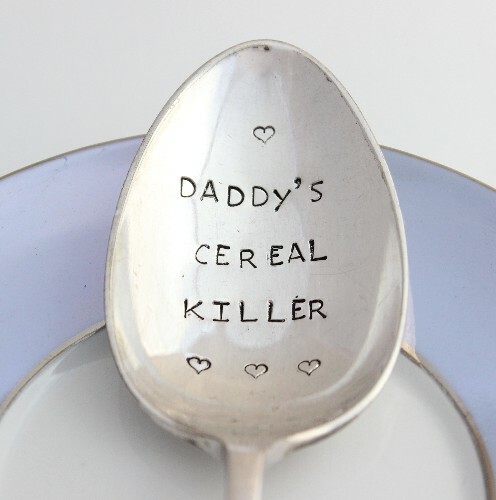 The lettering will be slightly irregular & wording font size will be arranged to best fit onto the personalised dessert spoon. 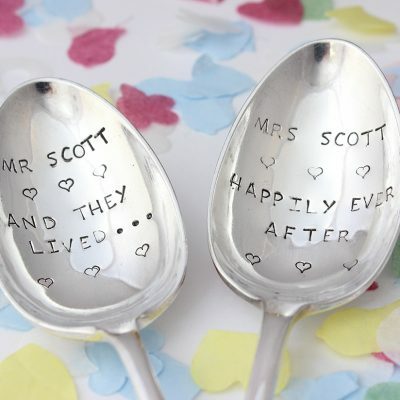 Each personalised dessert spoon is silver plated and vintage and will show some minor signs of wear and age. The quirky handcrafted, not quite perfect (but as near as damn it) appearance all adds to their charm! Standard delivery is 3 weeks from date of order. If you require your personalised dessert spoon ahead of this delivery guide, please do contact us before you place your order.